Blinking Owl Distillery Opens Saturday! Home 2016 Blinking Owl Distillery Opens Saturday! 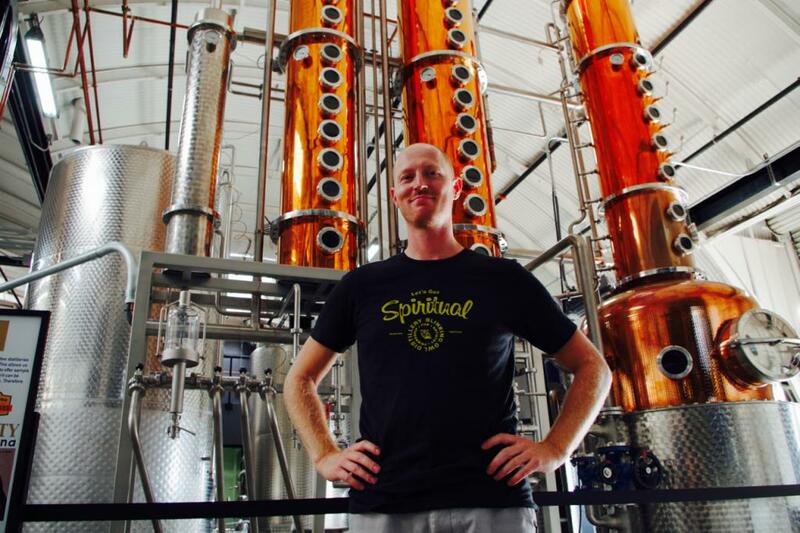 I’ve met many distillery owners over the years and they all have one thing in common: an infectious love for life. It didn’t take more than a few minutes at Blinking Owl’s bar to come to this realization, after meeting proprietors Robin and Brian Christenson, both beaming with pride as if they just birthed a giant copper baby that makes booze. From the street, I expected a dingy quonset hut filled with some ragtag rotgut booze equipment strewn about. Walking into the tasting room, I had it all wrong. This room has a classic vibe; the white marble bar and long-windowed view of a triple copper still from Germany made me feel like I was in fancy church, complete with a decorative pipe organ lining the terrace. House distiller Ryan Friesen opts to use organic durum wheat and a bit of barley in the grist for the vodka, which imparts a subtle floral nose to the base spirit. Being a commonly-used pasta grain, durum imparts a nice body to the neutral spirit, having a high level of protein which passes down to the end product. I suggest simply sipping their vodka on the rocks to pick apart the nuance, but it should also beautifully beef up any cocktail. 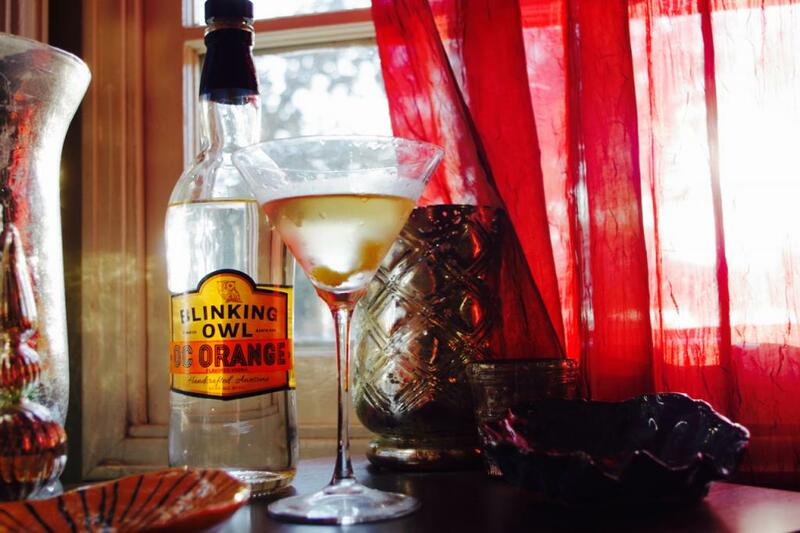 My OC Orange Vodka Martini, late summer perfection. OC Orange, the flavored vodka, is a refreshing take on this overdone genre. I’m a firm believer that a fruited vodka should taste like a preservation of the base fruit’s aroma, and the local Santa Ana Heritage Museum oranges used for batch one come through in the best way possible; like that one part of Disneyland’s Soarin’ Over California ride when you fly over the orange groves. My sweet vodka martini recipe for two: 4 parts vodka, 1/2 part sweet vermouth, and lemon zest. Chill your glassware, stir ingredients with ice until your hand cramps, strain, then garnish with lemon or orange peel. Blinking Owl’s Aquavit is also a fun experience. I noted layers of herbs on the nose; dill and caraway being front and center. On the sip, cinnamon makes its presence known, followed by freshly baked rye bread and a kick of green olive. Hibiscus, which happens to be the Santa Ana city flower, imparts some color to the liquid. Cocktail recommendation: an aquavit bloody mary! With a lightly spiced mix, the herbs in this spirit would really pop, making brunch at home a tasty experience.